The company is hoping its 2G customers make the transition to 3G and 4G networks, thereby improving its average revenue per user. Vodafone Idea Limited, the country's largest telecom player, is banking on synergies from the merger of the two entities to drive its revenues and guard its customer base. "We have already realised synergies of over Rs 3,000 crore on annualised basis, out of the total Rs 8,400 crore guidance that was originally given," Balesh Sharma, CEO, told Moneycontrol. The company, formed after the merger of Vodafone and Idea was finalised last year, has a 38 percent market share in the highly competitive telecom industry. In 2016, the two companies together would have had a 41 percent of the industry's customers. 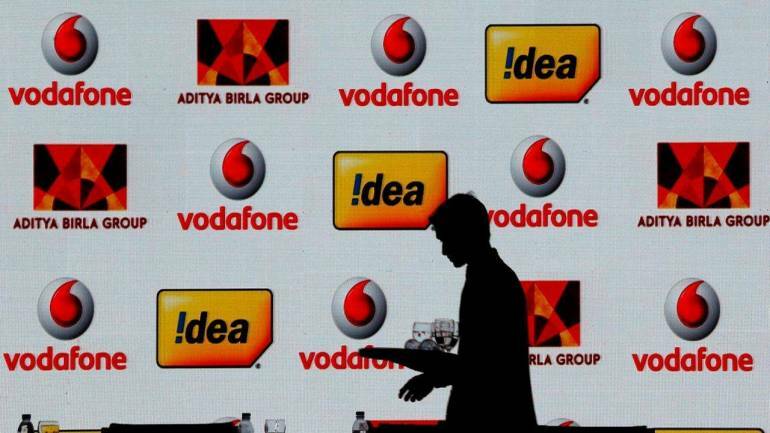 From 435 million in the first quarter of 2019 financial year, Vodafone Idea's subscriber base eroded to 387 million by the third quarter. Sharma added that synergies have already accrued in human resource, distribution and retail network. "Of the 22 circles, integration is complete in eight," he said. The strategy will be important as investors evaluate the company's Rs 25,000 crore rights issue that opened on Wednesday. On offer are 2,000 crore shares at Rs 12.50 a share, a significant discount from the current stock price of Rs 16.20. A successful rights issue will arm the telecom major with a substantial war chest to repay debt and fund its expansion plans. Promoters of the company have committed to 73 percent of the issue. The company had net debt of Rs 1.15 lakh crore, as on December 31, 2018. The rights issue closes on April 24. While analysts have said that the company may have to raise more funds after the FY2021, Chief Financial Officer Akshaya Moondra, said there won't be a need. Instead, the company plans to monetise its assets, including Indus Towers. Vodafone Idea expects to raise Rs 5,500 crore through the sale of its 11.15 percent stake in Indus Towers, a telecom infrastructure firm. "We are also exploring monetisation of the fibre assets," said Moondra. The company will approach investors once the rights issue is over. "While the value is difficult to give, but the portfolio is of 1.58 lakh kms of fibre network and will have a replacement cost will be a good benchmark," added Moondra. The synergies from the merger will reduce costs, and support company's capex needs. "The merger will remove duplication of equipment. There is Rs 6,200 -crore worth broadband equipment that will be available to build capacity," said Moondra. This, the company hopes, will help it to quickly ramp up capacity, enabling its customers to shift to spectrums that will give it higher revenues. The company is hoping its 2G customers make the transition to 3G and 4G networks, thereby improving its average revenue per user, or ARPU. At present, it has an ARPU of Rs 89. Airtel , the second largest player, has an ARPU of Rs 104. "We have the largest share (of 46 percent) in the 2G market and that is a ready opportunity for us as we can upsell subscribers to 4G," said Sharma. The overall strategy, added the CEO, will help stop the slide in market share. "Our strategy is to improve upon the customer service by building capacity. Then there won't be any reason for the customers to leave," said Sharma.